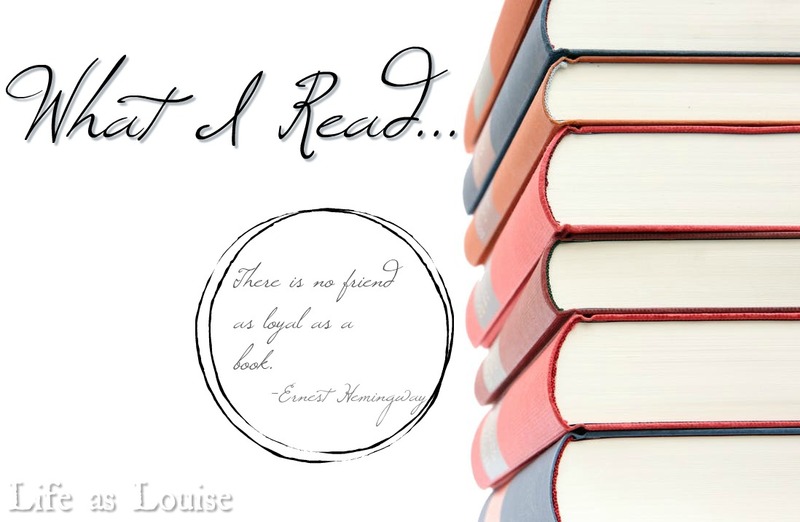 At the beginning of the year I was a reading machine….then I wasn’t. I didn’t finish Erin’s Challenge (part way through I knew I wouldn’t), I barely cracked a book in April, and I often chose sleeping or TV over reading. I was sick and we traveled quite a bit. I’m not making excuses- I fully own up to all my distractions. I’m back on the horse for now, though, and the horse is galloping. In other news, I joined a book club at my church in May! 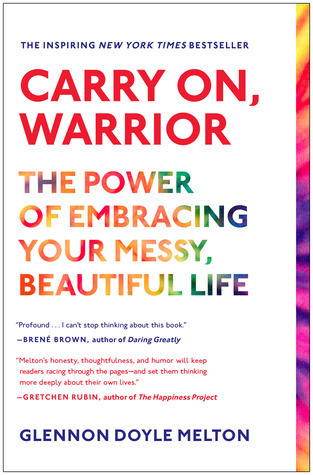 We read Carry On, Warrior by Glennon Doyle Melton. I’m the youngest by quite a few years (10), but nevertheless I enjoy the company & discussion. At the close of WWII Juliet Ashton, a charismatic and fiery authoress, is looking for her next book topic. After exchanging a few letters with some literature-loving islanders of Guernsey she’s both curious & inspired. Everyone I know who’s read this book has loved it. I’m not here to contest that. I want to be best friends with Juliet and I want to discuss literature with the Literary Society and I want to run through the fields and build sandcastles on the beach with Kit. It is a gorgeous story of a strong women who is dedicated to her career and her loved ones and reporting a true but entertaining story. It’s also about rebuilding one’s life after bombs have reduced all the one loves to rubble. Gosh, it was a crazy gorgeous story. I was never bored and I teared up a few times and I’m very grateful for everyone who encouraged me to read it! Should you read it? Please do. It’s lovely and heart-warming and sad in a warlike way but so cozy. Carrying over from her blog Momastery, Glennon Doyle Melton shares her youthful struggles, stories of motherhood, and lessons on finding her own version of faith and God’s grace. (Honest rating is 3.5 stars but I round up.) This book was picked for me. When I joined my church’s book club they had just started this one- so I jumped right in. Glennon and her love-based faith reminds me of Jen Hatmaker and Brene Brown (although, admittedly, I’ve only read excerpts from and about them. I don’t know their backstories). Glennon is a recovered/ing alcoholic, drug addict, bulimic, & smoker. When she found out she was pregnant she stopped everything cold turkey (damn), married the baby’s father, and started writing to keep herself sane. Her stories are raw and honest and 100% rooted in love/grace/kindness. I loved that. She made me want to be a better person- but also emphasized that “better” is a term of worth and we’re already 100% worthy. Should you read it? If what I said appeals to you, then yes. She’s not perfect, her past is spotty, and she takes a pretty liberal approach to loving Jesus- which I believe is 100% His kind of disciple. Meredith is desperate for a new start- so desperate she leaves her million dollar life behind in California. Jack just so happens to be desperate for a house cleaner. Despite a rocky first impression and gruff boss, Meredith is determined to rebuild her life here at Blue Stone Ranch and win Jack over. I don’t know if romances are my thing… That said, I stayed up until 2:30 AM ON A WORK NIGHT to read this book. So I enjoyed it… but I don’t know how to rate it in regards to other spicy novels because I hardly ever (possibly never?) read them. But I really, really loved Meredith. She was hilarious. I laughed out loud several times during her self talks & conversations with Alfred. I also appreciated that she was kind and friendly and never in competition with anyone else. Also, considering her life in California, I found her humble. I genuinely loved her character. While rough around the edges (because he was supposed to be), I enjoyed Jack, too. He was a hardworking ranch owner but he never looked like a hillbilly or heathen. I liked that. The story made sense and the side characters were fun. (Edith is probably the absolute best ever.) I think Meredith had a lot of growth confidence-wise and independence-wise, but she was never an unlikable character to start with. Based on the other reviews I’ve read, Grey tends to write great characters so I’ll probably pick up another of her book someday. Should you read it? If you like romance novels or you want to try reading a romance, then yes. 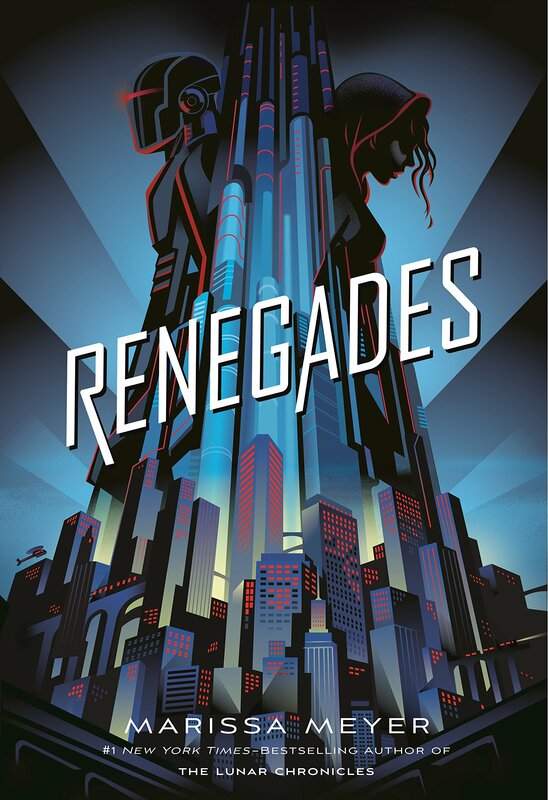 Nova hates the Renegades and knows that average people can be their own heroes- why should they lean on the inflated Renegades Council and the prodigies they employee? When the opportunity to take down the superhero establishment presents itself, Nova jumps at the chance and is immersed in the world of “good”, but things aren’t always as they seem. This was the definition of three stars. It didn’t blow my mind and I had plenty of issues with it, but it was entertaining and I enjoyed the story and I will definitely give the next book in the series a chance. Nova and Adrian are both great characters. Flawed but genuinely good at heart. There are secrets and lies and hidden identities, but fortunately no love triangles or anything that makes my eyes roll out of my head. There are way too many similarities to X-Men for me to ignore (but maybe that’s because I’m a big X-Men fan). I’m hoping that book #2 brings some depth to the Council and the Renegades as a whole. I want Nova (and Adrian, for that matter) to discover something shady within the all-too-perfect organization. I’m also curious about Max- I hope we get more on his past. This was a +550 page book, but it didn’t feel that long to me. Should you read it? Only if the description really appeals to you. It’s action-y and a little YA. If you liked Meyer’s other books you might like it. Fed up with her husband’s behavior and on the verge of divorce, couples therapist Winifred M. Reilly stumbles upon a new approach. Can changing her own behavior and attitude really alter her partners destructive habits? My marriage isn’t in trouble, but I like reading books on relationships and parenting and things like that. This one was interesting. (Steph mentioned it once and that’s how it came across my radar.) I think it could have been half as long. The last 25% is what really resonated with me. I think this marriage book would be helpful for longtime couples who find themselves having the same fights over and over again. It’s a book about a) finding happiness within yourself, not within your spouse and b) making changes to the daily script and not falling victim to the same old fights with the same old reactions and the same old results. Honestly, it made sense and I think the advice would work for two people stuck in a rut who still might love one another. I compared the stories and results to my own marriage, and I think there are some things I’d like to do going forward that might change the outcome of our two or three “consistent” arguments. I liked how the book focused on the reader- not the reader’s relationship. I think that made it helpful and applicable. Should you read it? If you’re looking for creative ways to communicate and respect your spouse, it might be worth your time. Skim the first 50%, though. It’s mostly about the author’s marriage and failed reparation attempts. Did you see that Erin’s 9.0 Challenge prompts are finally available? The challenge doesn’t start until July but obviously I’ve already picked out my reads. (Sharing those on Thursday!) If you’ve been on the fence about dipping your toes in the book challenge pond I’d encourage you to join in this summer! I can’t sing Erin’s praises enough as a host and the categories are so fun to match with books! I honestly can’t believe I finished five books this month. I finished zero last month. I’ve been working on a few of these for quite some time, but I’m still happy with this month’s results. One of these days I really will do Erin’s Book Challenge. LOL Yay for reading five books! I still need to read The Guernsey Literary and Potato Peel Pie Society but I think I’d love it too. Erin’s Challenges are great- you’ll love ’em. Guernsey was the most adorable book. Took no time to read, too! I’m so excited for Erin’s next challenge! I did my first one in January, and loved it 🙂 I’ll have to look for you in the conversation over there. I loved Guernsey so much! We have like the same three fights LOL. Don’t all people? ‘I’m back on the horse for now, though, and the horse is galloping’ lol. 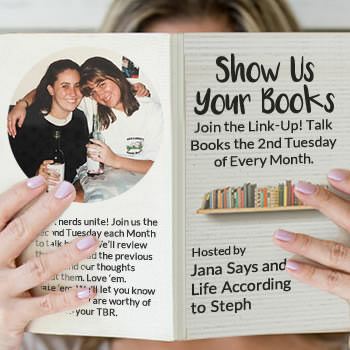 YAY book club! high five! so much yes for Guernsey. So much love. when i first started reading romances (like, proper romances, often) i struggled with rating because i was comparing them to ‘normal’ or more serious books.. but now i rate them out of enjoyment because that’s why i read. bummer about the Marissa Meyer book. I *still* haven’t read Heartless. too scared. i am on the fence about doing Erin’s challenge – i don’t think i’ve finished one yet lol. i always end up picking at least 1 or 2 books that i don’t *really* want to read but nothing else fits the category, so.. ugh. don’t know. The Guernsey folk are obviously my new close friends and relatives. Heartless was middle of the road for me. The more I think back on Renegades, the more I feel like I liked it. My scoring might’ve been a little low. I’m excited for the next book in the series! This time I ONLY let myself pull from my GoodReads tbr list! I really enjoyed Arrogant Devil, but romance is one of my favorite genres to read. That author is hilarious and I have loved everything I have read from her. 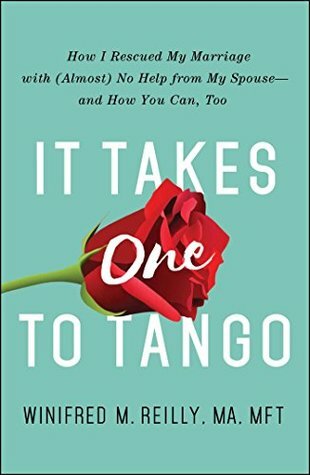 I am adding Two to Tango to my list! Sounds interesting. The Potato Peel Pie Society is already on it, glad to see another fan. I think I was thrown off by the whole slow burn. Maybe I need some action in the middle of my romance novels…? LOL. Her characters were THE BEST, though. Two to Tango was very interesting. It’s a concept that works well for me but I don’t know if everyone would feel the same way or not… ha. Finishing up a book tonight and am searching for a new one to read. These posts came at the perfect time! Yay!! What did you decide on?? I love finding the perfect book from the SUYB link-up! The Guernsey Literary and Potato Peel Pie Society is the only one i’ve read and while it started out promising.. I felt it dragged on and by the time it ended I had lost interest. We all have those reading slumps.. until we come across that book that is even better than TV and sleep. I’m glad you’re back on the reading wagon, although I feel everyone takes a break from reading too. Last month I did and it helped me enjoy this month’s books more than I might have if I kept pushing myself to read when I wasn’t in the mood. I’ve seen The Guernsey Literary and Potato Peel Pie Society but haven’t paid much attention until your review and now I am very intrigued. Adding it to my TBR. So I actually had Renegades from the library a few months ago but I never even opened the book. I disliked Heartless quite a bit but loved Lunar Chronicles and I just decided to wait on Renegades. I’m sure I’ll eventually get to it, but it’s no longer a priority read for me. The speed and drama and coziness of Guernsey is similar to Downton Abbey. It’s a slow British historical fiction. The more time I put between the last page of Renegades and now, the more I think I really liked it. It’s growing on me. I’m excited for book #2. Im terrible with book challenges because if I need to read something I wont. I keep hearing about the Guernsey. I need it to be ready from the library already! Hahaha. I’m the exact opposite. I like checking things off so I read the challenge books (although I don’t hesitate to stray from my list- so long as I’m reading I’m happy with my habits). I need to read the Guernsey Literary Society! It sounds right up my alley, especially since it’s WWII based. And I’m so excited for Erin’s Challenge! I don’t know if I’ll be able to finish it this time around, but I’m going to give it a try! It is just so cute and cozy and wonderful! One of these days I’ll read the Potato book. One day. It’s cozy and very British. Lol. Guernsey is so so so cute. Very British and war-hopeful. I loved Guernsey and I want to re-read it this summer (maybe on audio) before the movie comes to Netflix. It’s such a wonderful book!!! 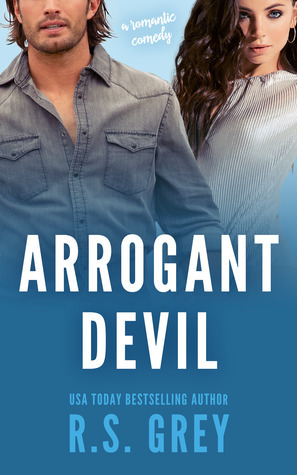 I liked Arrogant Devil but it wasn’t my favourite of hers and not my favourite romance either. Still cute and I agree, I liked Meredith a lot as a character. That marriage book sounds interesting – we basically constantly have the same 3 ish fights that never get resolved but maybe that’s normal based on a few other comments here, lol. I’m excited to see Guernsey on Netflix! Based on the previews I think they changed it quite a bit, but I’m still looking forward to it! The marriage book was interesting and definitely touches on how to handle those same three arguments. (We have them for sure.) It essentially talks about how you can react differently. We all follow the “rules of engagement” when it comes to those fights but if we change OUR side of the fight then our partner will have to change their side, too. I love Guernsey and its format!! I am very intrigued by Carry On Warrior, i’m going to look into it. Warrior reads like a series of blog posts. It’s a little choppy but entertaining and endearing. I enjoyed it. I started following the author on IG, too. I haven’t read any of these, but I have heard of the Potato Peel Society book and it sounds so interesting! I think you’d like it! It’s in letter/telegram format and goes quickly. Plus the historical fiction and war references. It was a sweet little read. I’m reading The Guernsey Literary and Potato Peel Pie Society right now and loving it! I recommended it to my sister-in-law yesterday, and as I was saying it aloud I thought, “Wow, when does this title END? ?” haha. But seriously. So. Lovely. Isn’t it adorable? I loved it! The title is definitely a mouthful, though! I should recommend it to my sister-in-law! I think she’d like it, too! Haha! Yay for being back on the reading bandwagon!! I liked the characters in Arrogant Devil and hope to find a book I love by her. 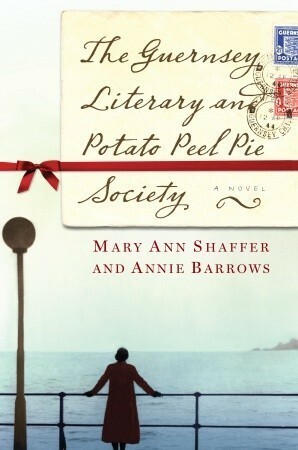 The Guernsey Literary and Potato Peel Pie Society sounds good and gets great reviews; putting it on my TBR. Thanks for the recs!! The characters in that book were great! I wasn’t expecting such funny and developed characters in a romance! (Although I don’t really know WHAT I was expecting, lol.) Definitely add Guernsey to your list! It was SUCH a cute book! I love rereading HP 🙂 Book 3 is my favorite and 5 is a close second. I’m rereading them as the illustrated versions come out so I’m about to start #3 again!